These days Michigan's forest are in GREAT shape! Natural recovery and a WHOLE LOT of work by foresters has provided us with an exceptional natural resource. Michigan is a way cool, green place to be. Forests cover about half the State, with most of it in the northern two-thirds of Michigan. Agriculture and cities have replaced most of the forest on the other half of the State. The timber volumes have grown steadily since the logging era. 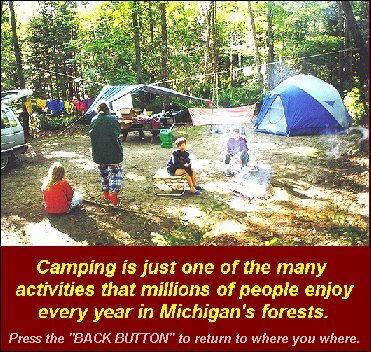 The forest is filled with animals, plants, clean water, protected soils, and a zillion ways to have fun. 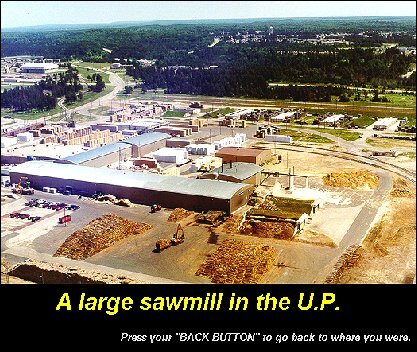 Michigan forest industry has changed, too. 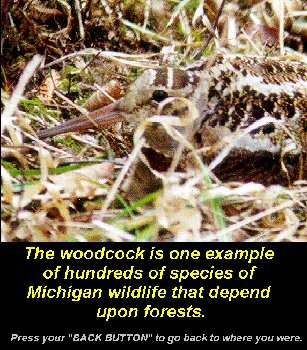 We still have hundreds of loggers and the forest industry is a major Michigan business, worth over nine billion dollars. Wow! But today, sustainable forestry is the name of the game. Not only is the wood supply continuing to increase, but foresters are concerned about more than just wood. Foresters consider many things when deciding what to do with a piece of forest. Wildlife habitat, water protection, recreation, how timber sales look, biodiversity, and fire protection are some of the considerations. Most important, foresters are concerned about regeneration and making sure our forests stay healthy and productive. Forests are part of the ecosystem landscape and are managed with the big picture in mind. Forest management systems have been developed over the last 75 years that take into account a lot of science and biology. These systems also account for changes in the way the public views land and forests. Using forests is unbelievably important to all of us, even though we might not think about it. Trees become part of over 5,000 different products in the United States. Each year, every person uses a tree 100 feet tall and about 16 inches in diameter. 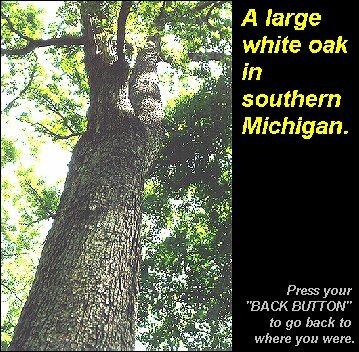 In Michigan alone, that's almost 10 million of those big trees each year! And wood is an environmentally friendly raw material. It's cheaper than most other raw materials, uses less energy to process, and most of all . . . it's RENEWABLE! But never forget that wood is just a part of the forest we use every day. We also hunt, fish, snowmobile, mountain bike, drink clean water, camp, hike, and enjoy the Fall colors. Forests provide oxygen we breath and help clean the air. Many people also gather things from the forest, like berries, nuts, mushrooms, medicines, craft items, and lots more stuff. Managing our forests is the best way to make sure there will be plenty to go around for the future. "History of the Lake States Forests: Natural and Human Impacts"